Winter isn't just coming, it's here now. This means that now is the time to dig out your old winter wear, including the woollen jumper - popular for its warmth, texture and style. But if your old jumpers have become unserviceable, where is the best place to buy new woollen jumpers in Sydney? 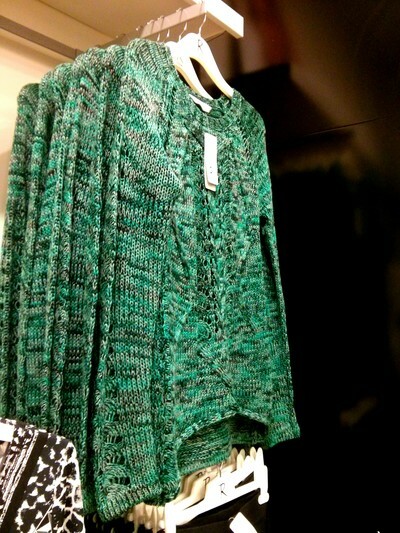 Have brought a couple at Zara at Pitt St - great prices from the Zara knits range. Otherwise I am looking forward to buying a couple more cashmere jumpers at the UNIQLO pop up store at Pitt St this weekend. Myer is always good because of the sheer number of brands - it would be hard not to find something suitable! Otherwise I really like Forever New (multiple locations) for all kinds of winter gear that is affordable yet stylish. There are a couple of places at markets however Myers is your best bet. Best places to practise night photography in Sydney? Best place to buy belts in Sydney? Best place to buy travel luggage in Sydney? Best place to practice bird photography in Sydney?